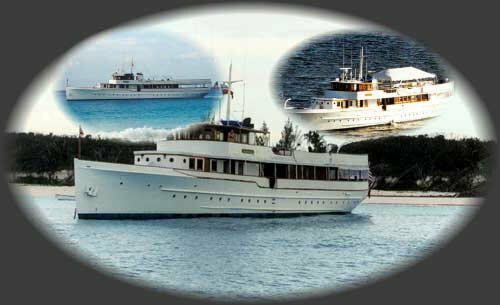 A classic 122-foot fantail motor yacht. 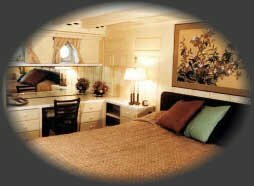 A tour of the interior of the vessel offers beautifully appointed state rooms. 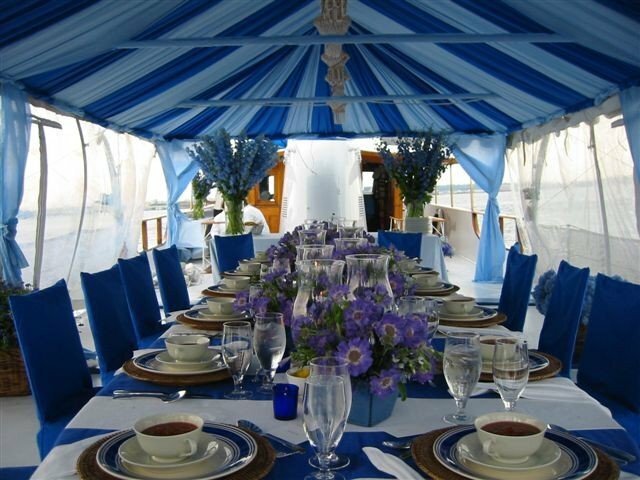 An excellent vessel for Corporate meetings, weddings, sweet sixteen’s, film shoots, and any reason to have a party large or small. Mariner III was built in 1926 for Captain James Griffiths of Griffiths Steamship Company. This classic 122′ fantail motor yacht, was designed by Ted Geary. 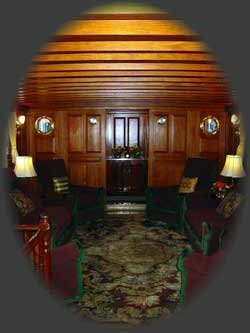 Traveling to China to select the lumber for her construction, Captain Griffiths chose 3″ teak planking for the hull and very strong wood, called yacal, for framing. 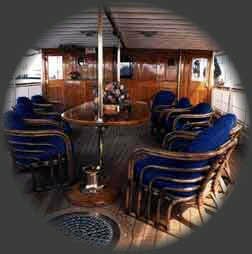 Originally named “SueJa III,” Captain Griffiths used the yacht to travel up and down the West Coast. In keeping with its original 1920’s design and the flavor of that era, the Mariner II was. restored to its old world charm with deep, rich, patterned furnishings, beautifully varnished woodwork, and polished solid brass fixtures. Her reputation for excellence is known throughout New York, New England, Florida and the Caribbean. She has enjoyed guests on board from Jacques Cousteau, the Rockefellers, Harrison Ford, Bruce Willis, Robert Deniro, Don Henley, Jimmy Buffett and Madonna, in addition to a long list of corporate giants from across the country. You might recognize her from magazine ads for Ralph Lauren and Maybelline, fashion and travel editorials in The New York Times Magazine and many layouts in Victoria’s Secret catalogs. Directly above, the Mariner III’s enormous sun deck offers the ideal spot for private sunbathing. From here her twin powerboats may be launched for fishing or a private excursion to a nearby island.